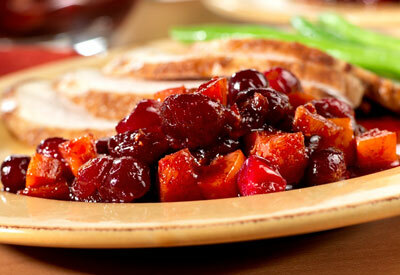 Our 20-minute, make-ahead, orange cranberry sauce can be made on the stovetop or in the oven. Either way, it's sure to become a tradition at your holiday table. Heat the broth, brown sugar, cinnamon, cranberries and orange in a 2- quart saucepan over high heat to a boil. Reduce the heat to low. Cook for 10 minutes or until the mixture thickens. Refrigerate until serving time.